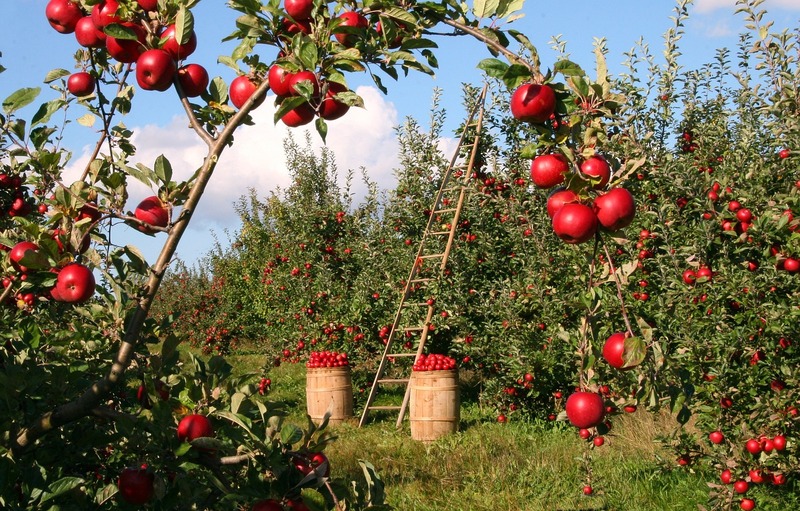 Fortunately it is also the season of harvest. There are three harvests: the harvest of grain (Lammas); the harvest of fruit (Autumn Equinox); and the harvest of meat (Samhain). The gathering in of grain and fruit was important to ancient peoples, as they needed to ensure that they could store enough food for the winter. The harvest of meat was the culling of livestock and preserving their meat, to ensure that you would still have enough breeding animals for the next season, but you would also have a good supply of meat for the winter. 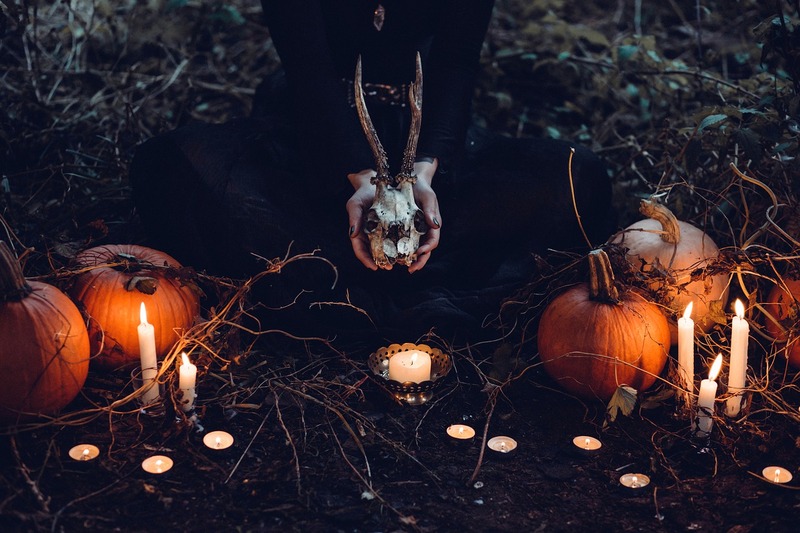 Samhain is celebrated by most contemporary Pagans as a festival of remembrance, drawing on ancient traditions that the veil between the worlds is thin at this time of year. 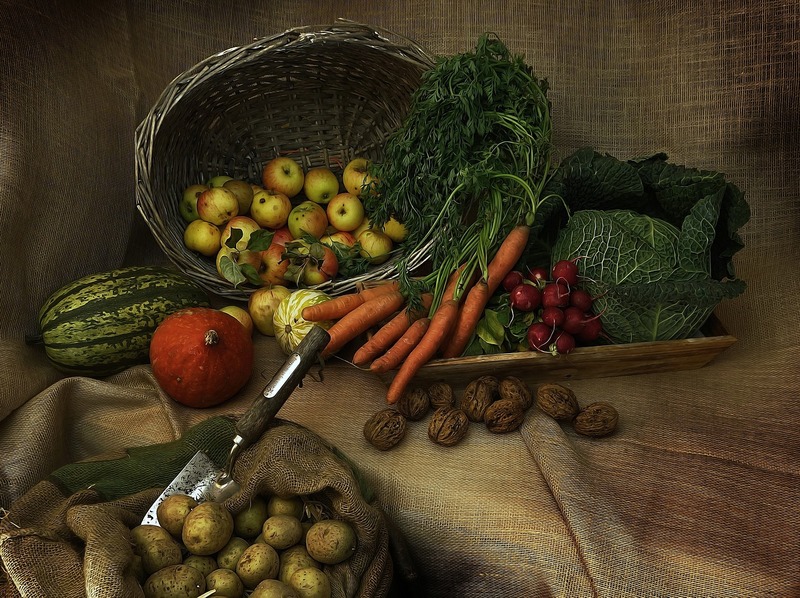 Harvest by Michi Nordlicht, CC0 Public Domain. In a recent talk at Witchfest (UK) in November 2017, Ronald Hutton suggested that the most logical time to hold a festival of remembrance of the dead would be in the spring, after all the people who would die in the winter had passed, and the rest of the community had made it safely through the dark and the cold. Indeed, the Orthodox Christian festival of the dead is at the beginning of June, as my friend Steve Hayes pointed out in an excellent post on the complex origins of All Saints, All Souls, and Hallowe'en. The origins of dressing up, and trick-or-treating, for Halloween lie in the practice of guising, a Scottish custom of dressing as scary otherworldly beings such as ghosts, Fair Folk, and witches, in order to make them seem less frightening. It’s annoying that some retailers haven’t got the memo about offensive and culturally appropriative costumes — but I was glad to see zero costumes caricaturing First Nations’ traditional attire in the three Canadian shops I visited at the weekend. I was also glad to see Teen Vogue calling out the retailers who have offensive costumes, and there's a change.org petition you can sign as well. I was however disappointed to see “Day of the Dead” and “voodoo” costumes in Value Village. Not good. Both Latin American and traditional African religions deserve better than that. I guess (and hope) that most Pagans are too busy taking the opportunity to dress in our most outrageous gothic and witchy gear to be interested in appropriating other people's traditional attire — but if you still don't get why cultural appropriation is offensive, I've got a ton of posts about it. I have mixed feelings about witchy costumes. On the one hand, they’ve improved massively since Harry Potter and Charmed changed the image of witchcraft. Warty noses went out, and glamour came in. But do we want to be seen as a caricature of ourselves? In about 1992 or 1993, I went out to the woods with some friends for a Samhain ritual, and of course we were dressed in sensible outdoor clothing (my friends were wearing waxed jackets with corduroy collars, and I was wearing a waterproof coat and sturdy boots). Afterwards we went to the pub, which was having a Halloween fancy dress party. "Why aren't you dressed up?" asked the landlord. "What as?" asked the landlord. "Oh. Yes. I see. Of course," said the landlord. I must admit to checking the shops at this time of year for anything that might be useful for dress-up and ritual drama. There are occasionally tasteful items in amongst the acres of tat. I think there’s a place for silly stuff too. I have a rather cute sparkly plastic skull. And this year I got some nifty sparkly spiders. And I own three pointy hats. Just like Yule and Christmas have a fun and sparkly side, Samhain and other festivals can have a fun side too. But there is no need to dress up as racist caricatures. Ever. If you want to be really terrifying, why don’t you dress up as a right-wing politician? Oh wait — those are so terrifying that they’re not actually funny. But the popular image of Halloween as only being about spookiness is a far cry from the meanings of Samhain, Dia de Muertos, All Hallows and All Souls. These festivals are about honouring ancestors, the dead, and land spirits (though an alternative explanation of Samhain is that it was about freedom from oppression by invaders). The disrespect shown to traditional festivals like Dia de Muertos, Samhain, All Souls, All Hallows, etc just shows how detached our culture is from both death and Nature. I am always glad to see Halloween decorations emphasizing the Autumnal symbolism of the festival. It is a recognition of the cycle of the seasons, and through that recognition, we can get closer to an appreciation of the cycle of birth, life, death, and rebirth.